Scotland's largest city is known for its rich history, some of it dark and grisly. So it's no surprise that Glasgow is home to some of Scotland's most haunted pubs, buildings and public spaces. Sine the 1970s, many people crossing the 200 year old bridge have reported seeing a man in his thirties stood on the edge of the bridge, staring down into the waters below. He's said to be wearing 1930's style clothing including either a blue jacket and black trousers, or black clothes. When concerned passersby approach the man, he's said to have jumped from the bridge but vanished before hitting the water. The Argyle Street Arches are located beneath the Glasgow Central train station, for some time it lay derelict, but over the years has been used as a nightclub, an exhibition space and a performing arts and music venue. 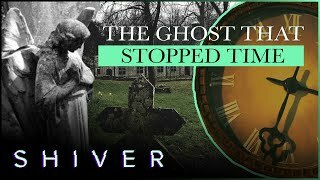 Throughout its years of use, there have been countless reports of paranormal occurrences, most notably is the ghost of a young girl looking lost and wearing old-fashioned clothing. The apparition apparently looks so real that staff have approached her to offer help, only for her to vanish in front of their eyes. Glasgow's Theatre Royal, like many old theatres across the country, is said to be haunted. Its most famous ghost is that of an actress called Nora. It's believed she was a cleaner who eventually managed to launch her acting career but was laughed off stage. She's be blamed for the disembodied sound of moaning and unexplained bangs in the upper circle. 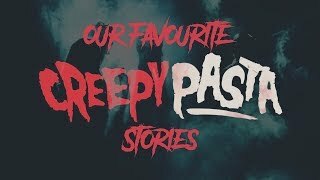 The huge and historic hospital was built in 1794 and with centuries of pain, death and suffering, it's surprising that there is only one well known ghost story associated with the building. It is said to be haunted by a Grey Lady, who's seen roaming the hospital corridor by countless doctors and medical staff. Many assume that the woman draped in grey is a patient trying to flee the hospital, but after following her and cornering her in a room, they find she's disappeared and a subsequent headcount reveals no missing patients. The school was built between 1903 and 1906 and is one of the city's best known architectural attractions, having been designed by architect Charles Rennie Mackintosh. The building is now home to the Scotland Street School Museum. The museum staff say that objects have been known to move of their own accord. Visitors have reported seeing dark shadowy figures on the first and third floors of the building, as well as hearing disembodied laughter, voices and footsteps. The Victorian building stand on the site of one of the oldest settlements in the city and hold the title of the most haunted hotel in Glasgow. Before its time as a hotel, the building was used as a rehabilitation centre for female inmates from the nearby prison. The property is said to be haunted by phantom ghostly children regularly heard playing on the top floor and a spirit who brushes up against guests on the stairs. If that wasn't spooky enough, the hotel is situated next the Glasgow Necropolis, the city's cemetery that officially opened in 1840. There are around 250,000 people buried in the Necropolis, very few have gravestones, even fewer have names. In the 1950s the cemetery made the news when a police man found a group of local children who had been roaming the cemetery for several nights armed with sharpened sticks and knives. The kids were hunting a vampire. He was said to be seven foot tall with metal teeth and had been blamed for the disappearance of two local children. The 150-acre park is situated on the south side of the city, it's the site of the Battle of Langside in 1568, which is said to have been the beginning of the Marian civil war. Hundreds of the 10,000 men who fought here died. It's now said that the ghosts of the dead soldiers are spotted near the boating lake on the anniversary of the battle on May 13th. The city centre theatre has a long and dark history, including its former uses as a place of execution, a police station and a meeting place for the infamous Hellfire Club. The paranormal activity in the building ranges from reports from staff of the uneasy feeling that they're being watched or even touched and doors open on their own, through to visitors witnessing full apparitions. The most active parts of The Tron is said to be the Victorian Bar and the back two rows of the auditorium. The ghostly sightings included reports of phantom children and the apparition of a man seen roaming the building dressed in riding gear. There's also said to be a menacing spirit which lurks in the boiler room, which sits on the former site of St Mary's Crypt. The Scotia Bar has stood on Stockwell Street since 1792, making it Glasgow's oldest pub. Paranormal investigators, who've investigated the establishment claim to have made contact with the spirit of a woman named Annie, who was allegedly able to move a glass across a table. The landlord has reported seeing the ghosts of a young child playing in a doorway. There's also a lady in a white has been seen sat in part of the bar, and a lady in a green dress who is said to parade up and down the pub. Now maintained by the National Trust for Scotland, Provan Hall is one of Glasgow's oldest buildings and has been home to many notable residents, including Scotland's King James IV. The paranormal activity at the hall includes reports of footsteps and disembodied voices, vanishing object and sudden extreme temperature changes. Provan Hall's best known ghost is that of its last owner, Reston Mather. His ghost has supposedly been seen wearing period clothing roaming the corridors. The hall is also said to be haunted by the ghost of a mother and her child. It's said that they were killed by the woman's angry husband, who returned home after some time away to find his wife had become a mother to the boy. Their spirits have been seen cowering in fear in the hall, perhaps reliving the final moments before their murder.